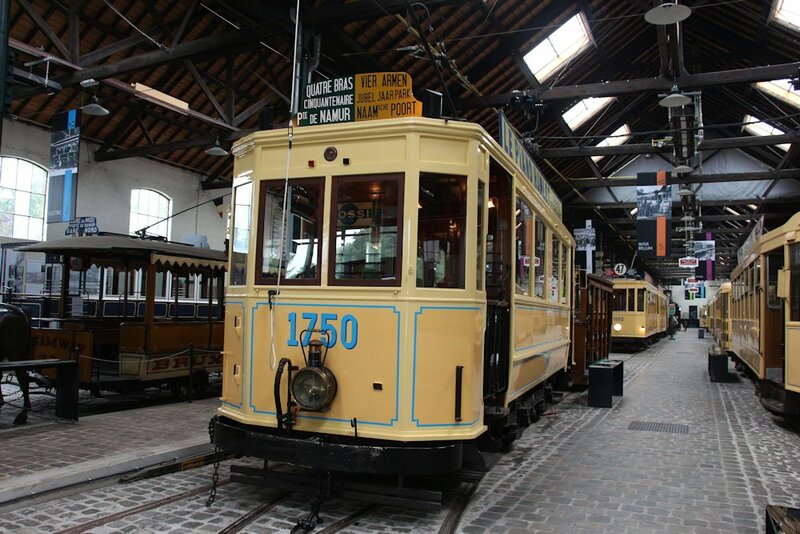 Brussels Tram Museum > News > Collection > “Bicorn hats” at the Museum! 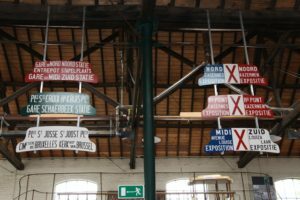 A few weeks ago our collection of destination signs and blinds expanded with the arrival of a number of special “bicornes”, named after the bicorn hats famously worn by Napoleon in the late 1700s and early 1800s. 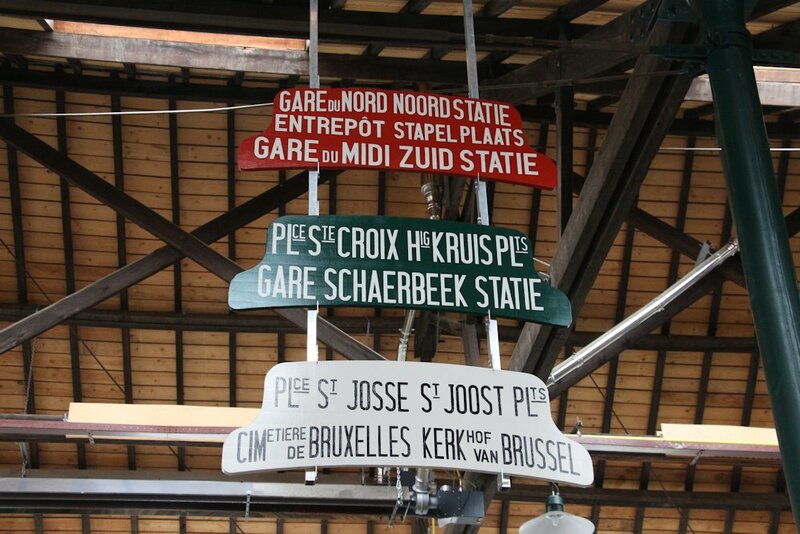 These “bicornes” were mostly used on the horse drawn trams of the “Tramways Bruxellois” starting in 1875. Logically they were also used on the first electric trams of the same company, after 1894. 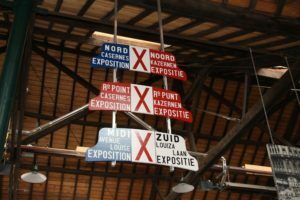 Nonetheless, the TB quickly introduced a simplified, more rectangular version of the “bicornes”. 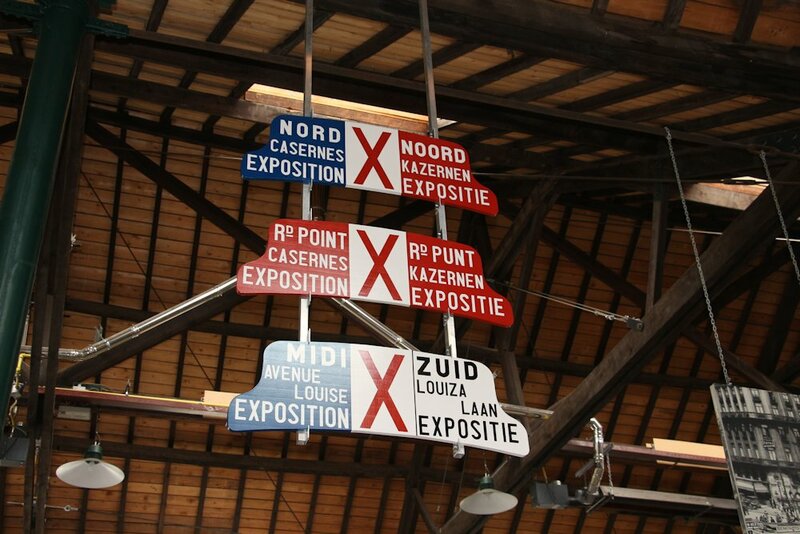 Only a few lines like Nord-Porte de Namur-Midi, kept theirs until the (first ever) numbering of lines in 1906. 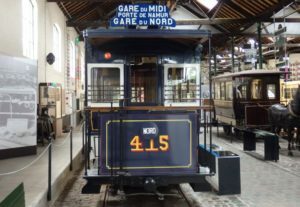 Special services used the “bicornes” until 1934-1935 when they were replaced by normal destination signs with the letter “S” in a circle in the middle. 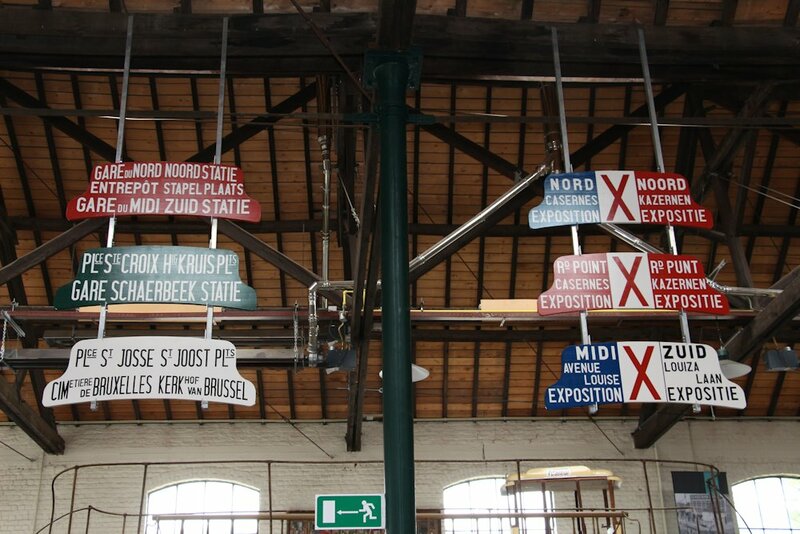 A second company, “Bruxelles – Ixelles – Boendael” (BIB), used the bicorn model for its electrical lines after 1897. 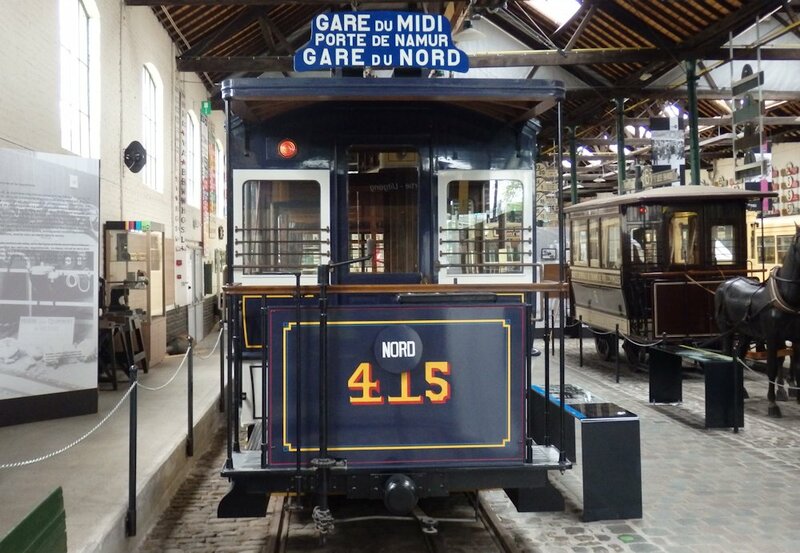 The rectangular version only took over when their network was gradually re-gauged to normal gauge rails. 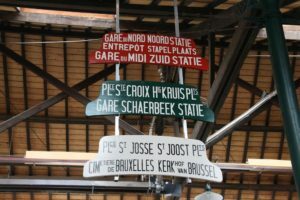 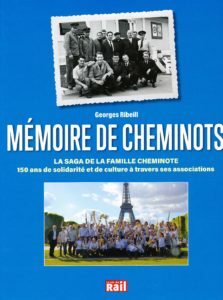 There were two exceptions: the lines “Ste Croix – Schaerbeek” and “Place St Josse – Cimetière de Bruxelles” kept using the “bicornes” until they were finally re-gauged as well in 1934. 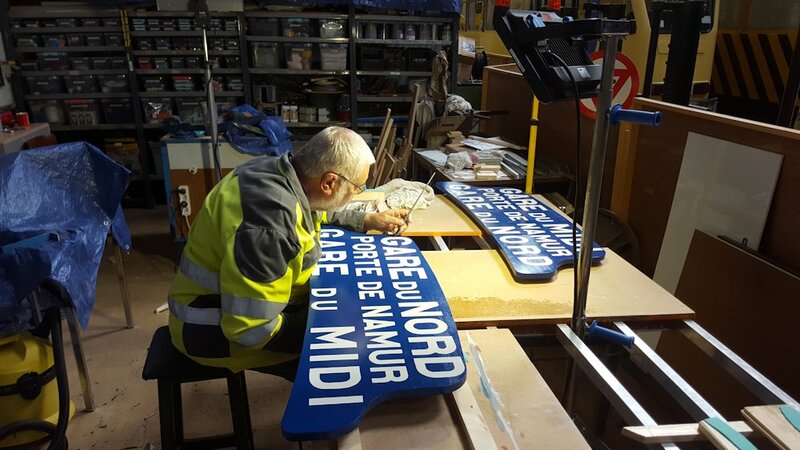 All of the “bicornes” in our collection were meticulously and patiently reproduced – based on the original designs from around 1900 – by one of our volunteers.